That memorable line from the TV show “Mad Men” has had unmistakable relevance—and urgency—for the United States Patent and Trademark Office. In the past several years, the storied government agency endured the fallout from findings that more than 400 of its patent examiners cheated on their timecards, costing taxpayers about $18 million in potential waste; concern and outrage over its Patent Trial and Appeal Board that, through inter partes review proceedings that challenge the validity of patents, is often perceived as favorable to corporate infringers; confusion over what is patent-eligible subject matter; and speculation about USPTO Director Michelle Lee’s sudden resignation in June 2017. Most damaging overall had been a growing sense for much of the decade that patent owners’ rights were being eroded. In explaining the United States’ fall to 12th place in its annual Global IP Index earlier this year, the U.S. Chamber of Commerce basically said that the infringers are winning. Yet the nature and tone of conversation about the USPTO has improved in 2018. There has been no slick-as-Don Draper’s-hair PR campaign from the patent office, no dramatic overhauls, no promises that would be impossible to keep. What there has been was the USPTO’s public acknowledgement that some of its internal processes and bodies warranted scrutiny and change—and action that backed those words. There was a 10 millionth patent celebration that captured the nation’s imagination while reminding its people about the major role that patents play in our economic system and entrepreneurial spirit. Perhaps most important, there was Senate confirmation of Andrei Iancu as the new leader of the USPTO. When Iancu began as undersecretary of commerce for intellectual property and director of the USPTO in early February, he said all of the right things about the crucial role of the U.S. patent system in the world economy and how he would oversee changes to restore faith in that system. He came with a sterling reputation and proven experience in commercial litigation and intellectual property law. IP experts were cautiously optimistic but said action would be the true barometer of progress. They didn’t have to wait long: On March 29, USPTO Solicitor Nathan Kelley filed a motion with the U.S. Court of Appeals for the Federal Circuit seeking to withdraw as intervenor in the Telebrands/Bunch O Balloons infringement case. He explained that Iancu decided “not to advocate for a particular approach in this appeal” because the USPTO was actively reconsidering the PTAB’s approach to claim construction and indefiniteness—unmistakable confirmation that PTAB practices would be under review. A couple weeks later, in his first public speech, Iancu acknowledged a shifting tide against patent owners and pledged to both create a new pro-innovation, pro-IP dialogue and increase the reliability of the patent grant. Later, while testifying before Congress, he said the PTAB was a candidate for reform. April brought new USPTO guidance relating to patent-eligible subject matter under U.S. Patent Code Title 35, Section 101. The memorandum said the USPTO is determined to provide “clear and predictable patent rights” in terms of subject matter eligibility and may issue “further guidance in the future.” The agency later issued other guidance memos in the wake of individual court decisions. Slowly, the hulking shadow of the “patent troll”—a derogatory term referring to the use of patent infringement claims to win court judgments for profits—began to lighten. Growing bipartisan support of the STRONGER Patents Act, filed in Congress in March, continued the momentum. Media buildup and speculation about when U.S. utility patent No. 10 million would issue was as exciting as the milestone itself. The USPTO took advantage of the occasion to create a 10 millionth patent website and chronicle the rich history of patents, the office’s 200-plus-year standing despite devastating office fires and wars, and the colorful figures who have been essential to the process. In June, Inventors Digest produced an eight-page section—with the help and endorsement of the USPTO—to help commemorate the occasion. Legal blogs in particular were immersed in the exercise of predicting the date of the big patent. IPWatchdog broke down 2018 patent grants into weeks while correctly arriving at a date of June 19, also based on the fact that the USPTO only issues patents on Tuesdays. The milestone patent was issued to inventor Joseph Marron for “Coherent Ladar Using Intra-Pixel Quadrature Detection,” technology that improves laser detection and ranging. Its issuance featured an elegant, carefully considered and conceived new patent cover design, the first in 33 years. President Donald Trump became the first president to sign a patent since Jimmy Carter in 1976. More steps toward change came in late summer. 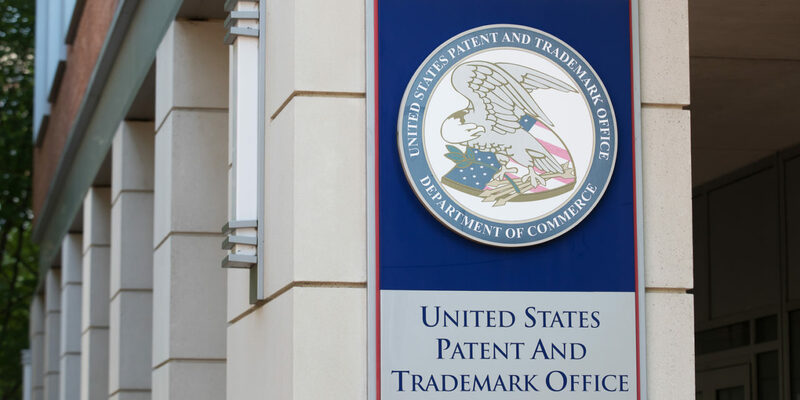 On August 13, the USPTO issued an update to the Office Patent Trial Practice Guide, incorporating PTAB practices and providing further explanation of certain aspects. Further revisions are expected. Arguably of greater note, on September 20 the USPTO said the PTAB “substantially revised its standard operating procedures regarding paneling of matters before the PTAB and precedential and informative decisions.” The assignment of judges in particular had been a source of some criticism. So TechPats and others are taking a wait-and-see approach in terms of whether patent owners will see lasting change. Much remains to be done. The threat of knock-offs is still a crippling disincentive and reality for many inventors; expenses associated with obtaining and maintaining a patent are considerable; and rulings still often favor deep-pocketed, corporate infringers over small inventors who are simply trying to protect what’s rightfully theirs. No major institution will ever be free of issues, including the patent office. But many developments this year are promising as the USPTO works to further the ideals of creativity and the entrepreneurial spirit. 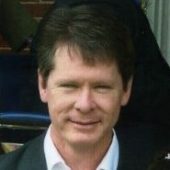 Such energy and optimism was well conveyed in a recent writing on IPWatchdog.com by John White, director at patent advisory and finance firm Soryn IP. “Be amazed at what the patent system has wrought. If you ever want a pick-me-up, flip through the first 50 pages of any recent Official Gazette from the PTO. Just look at what is issuing week to week. Astounding. The scope and creativity revealed in those pages is impressive. “In addition, these patents spawn the alternative futures that can also come to exist. You see, people other than me read patents as well. I can relate anecdote after anecdote of client companies whose engineers have pored over the patents of others, and taken entirely different routes to a similar future. Also, patented. Which, in turn, led to more creativity, etc. They took the alternative route because they wanted to innovate, or were forced to in order to avoid an infringement complaint. February 5—By a vote of 94-0, Andrei Iancu was confirmed by the United States Senate to become the director of the United States Patent and Trademark Office. June 19—Culminating weeks of national speculation, Joseph Marron was issued the 10 millionth utility patent in U.S. history for “Coherent Ladar Using Intra-Pixel Quadrature Detection,” technology that improves laser detection and ranging. September 20—The USPTO announced a series of changes to substantially revise standard operating procedures at the long-embattled Patent Trial and Appeal Board. PreviousWe’re glad you like what you see!